This summer I have the privilege of designing a wedding for a family that I adore. I did their first daughter’s wedding in 2008 and I loved every minute! 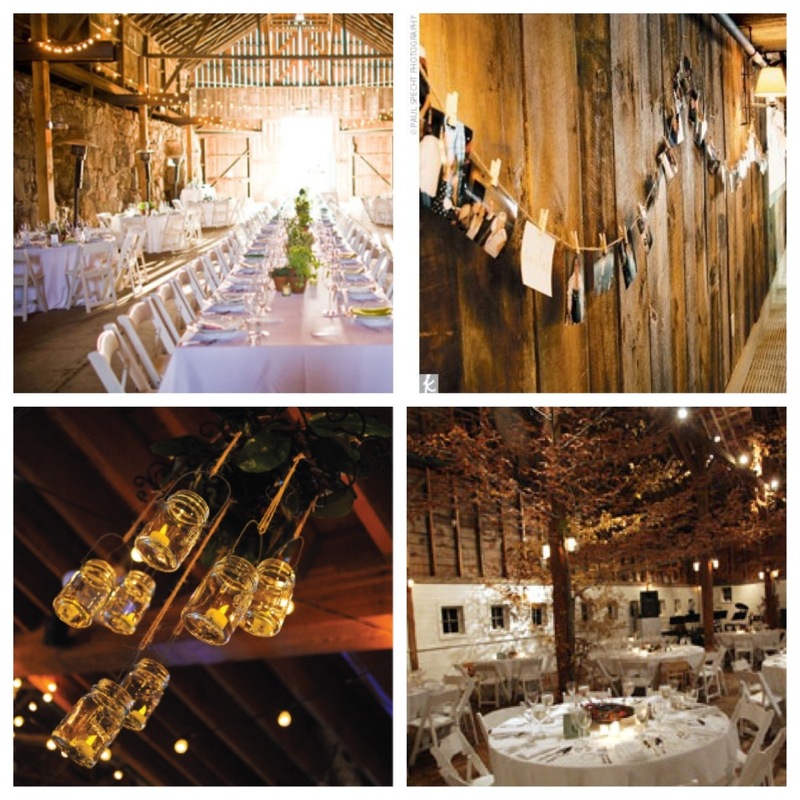 This is a real Maine barn wedding…great spot, great theme, great time. 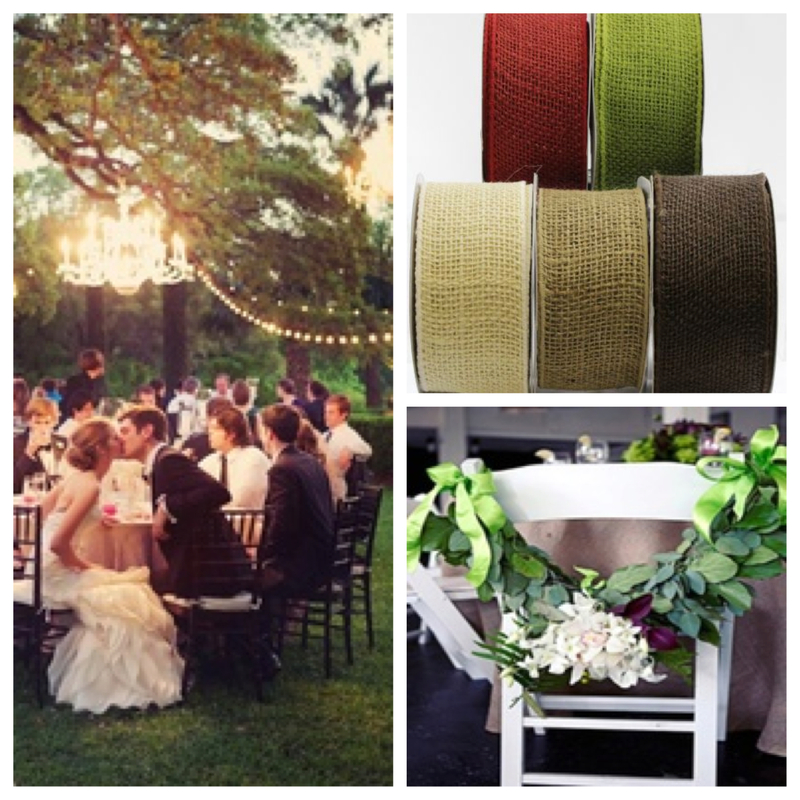 I use a lot of the principles of interior design to put together the visions for my weddings. 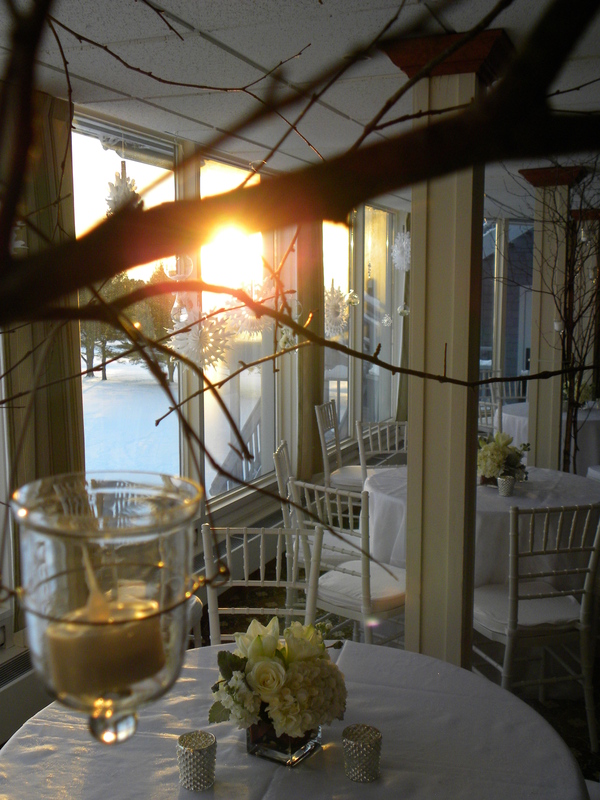 This wedding will be taking place at the Barn at Flanagan Farm in Buxton, Maine. I love weddings, I love barns and I love my clients…what could be better. Here are some of the ideas for the event. A good lighting plan is as important to event design as it is to interior design. I love the idea of hanging dramatic lights from the trees outside, the dinner tent and the party/dance barn. Fabrics, colors, patterns and textures are the next layer of design. In events, fabrics can be used to highlight and define spaces. 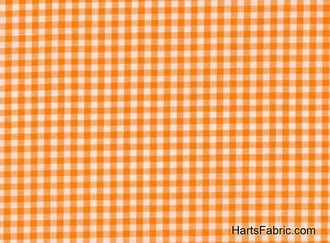 For example, I might use a gingham check tablecloth in the tent and a burlap overlay in the barn. Color can come through flowers, ribbons, table clothes, etc. 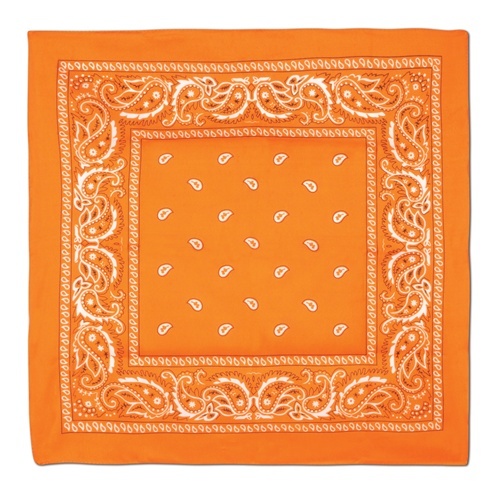 Bandanas make fabulous napkins; they are fun and add a pop of color and pattern. The best part is that you can get them in bulk for under a $1. I adore the idea of hanging a chandelier from the trees and using swag to decorate the chairs at the head table. 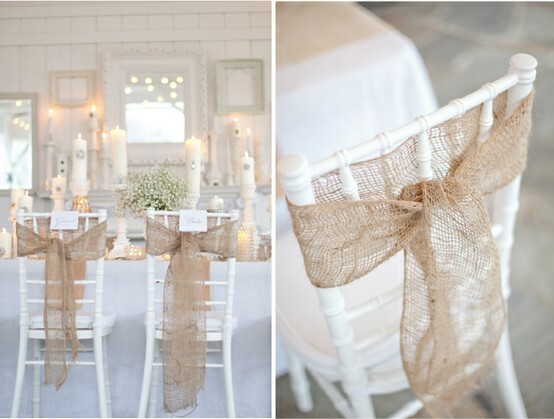 A natural burlap ribbon can also be a nice element, adding texture and color! This new trend of long tables works so well for our theme! It has a wonderful family style feeling. 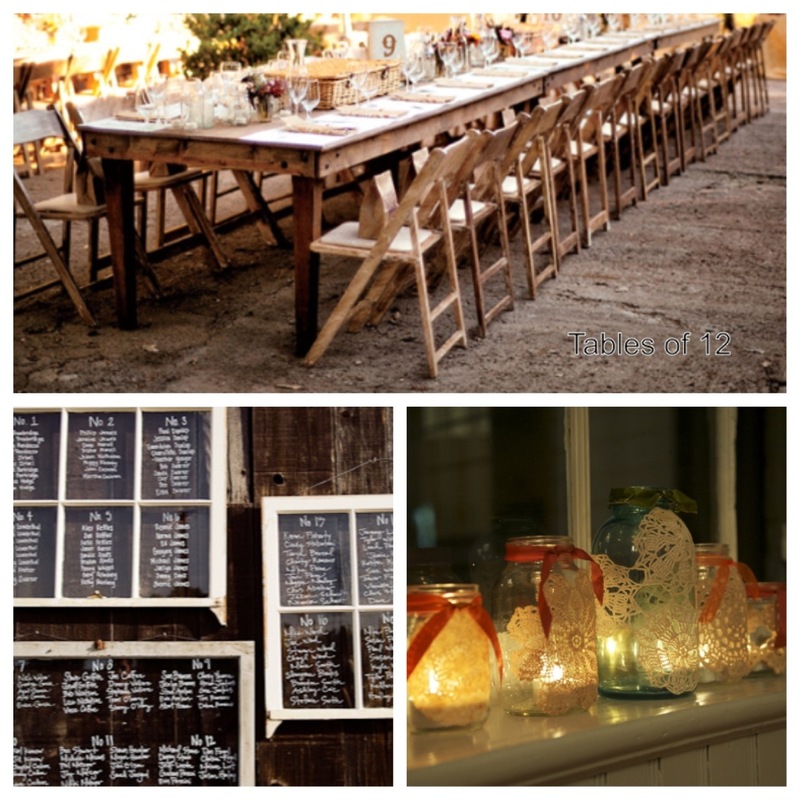 I also like the idea of using old windows and window frames for the seating chart! These lace mason jar candles holders bring together my passion for mason jars, the texture of lace and the twinkle of candles! I also want to do a picture wall with rope and close pins like the one below in the barn…something to look at while you are taking a break from dancing. Flowers finish the look. 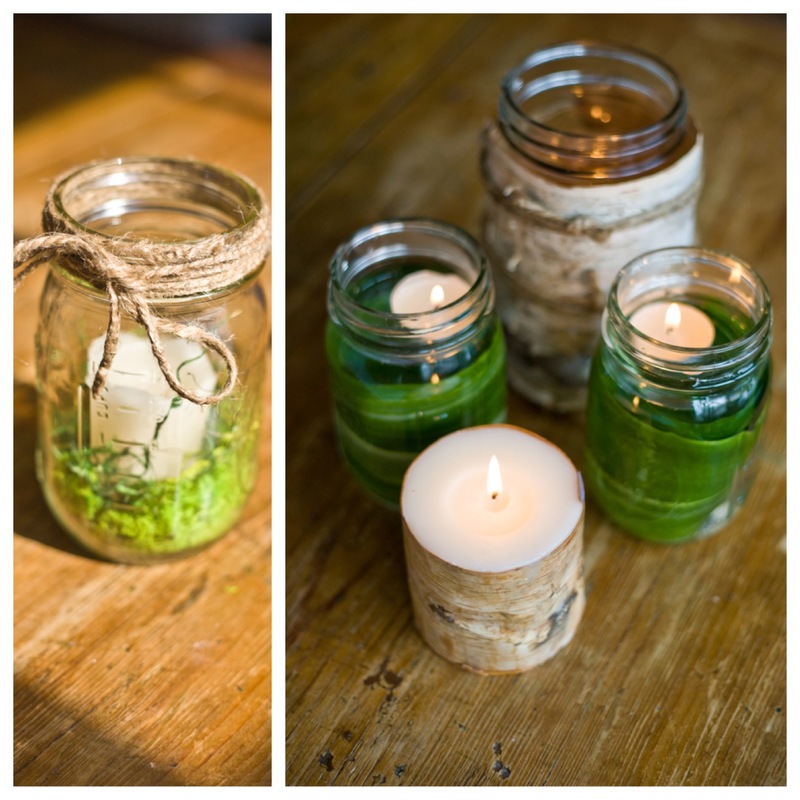 Mason jar vases and other rustic vessels will dress both the tent and barn. The bird vases are among my favorites, they are so chic. I like these flowers for the men, small and sweet! 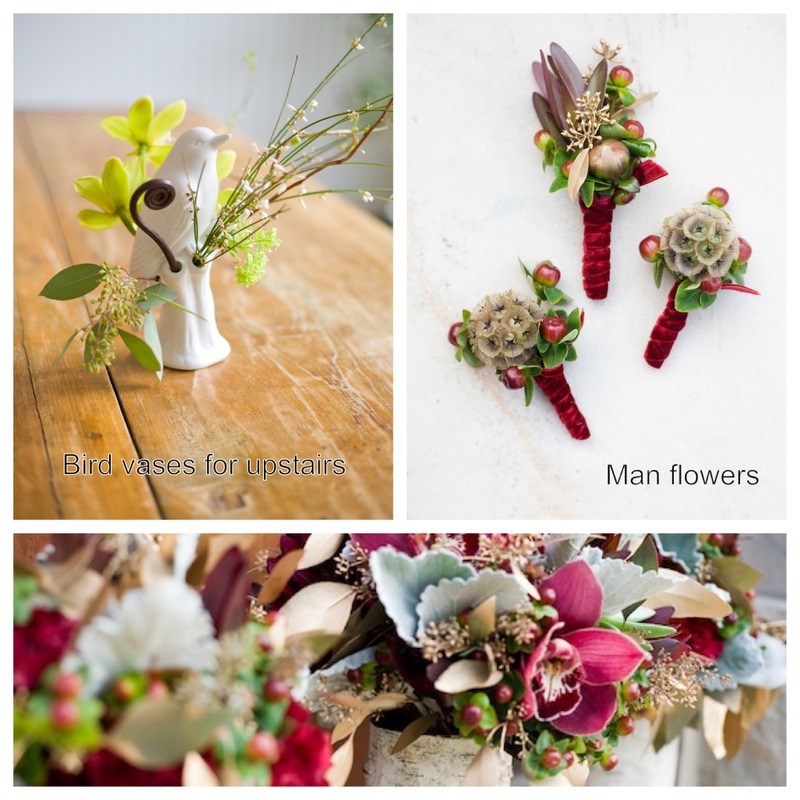 The orchids in the arrangements below add a vintage touch. I hope you like my wedding ideas. If you have any additions, ideas or comments…let me know. If you like the post please click on the LIKE button. If you never want to miss a post, sign up clicking the follow button! I feel so lucky to have all of your followers. Thank you for your support.